The Moody 31 MKII is fast becoming a classic family cruising yacht thanks to their comfortable accommodation, good all-round performance and sugar scoop stern. 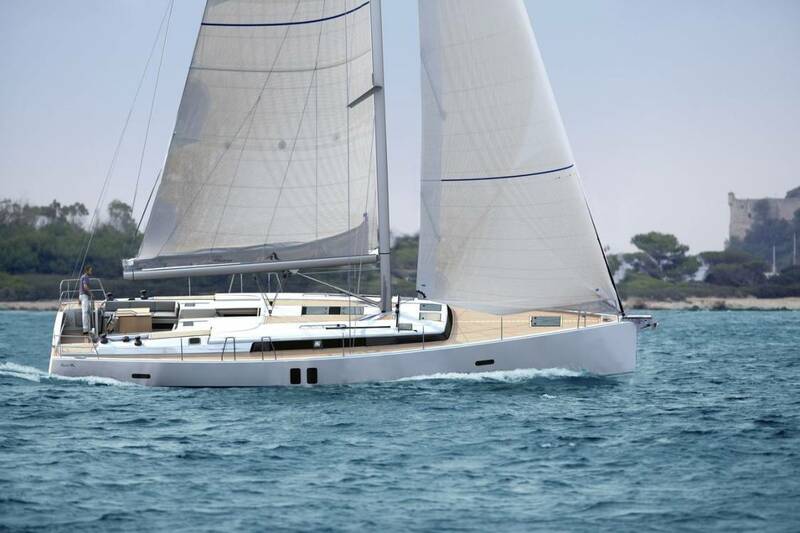 “Koala” is a very good example of her kind with the advantage of bilge keels with tiller steering, electric windlass, diesel heating, autopilot, 2010 Crusader sails and more. If you are considering a Moody 31 MKII, she should be viewed as she is likely to be one of the best available. 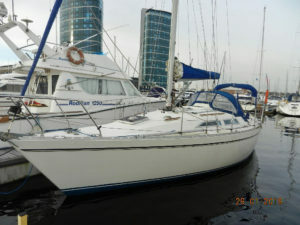 A berth in MDL Chatham Marina Kent is also available. This Moody 31 MK II offers six berths in two double cabins plus two singles in the saloon. The saloon has approximately 6′ 2″ maximum headroom. “Koala” has a V berth forward with infill to convert to a double berth, seat and good storage with a Wardrobe, cupboard and side shelves.The saloon has settee berths either side of the central table with useful stowage in various lockers and cupboards. Galley aft to starboard consisting of a Plastimo Neptune 2500 2-burner gas cooker with grill and oven, top loading fridge, stainless steel sink and storage.There is a separate heads compartment aft to port with Jabsco marine toilet (new 2013), washbasin, shower and opening portlight. 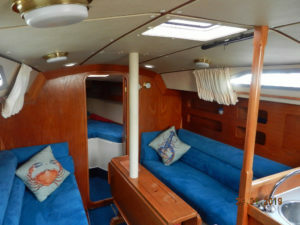 In front of the heads is the Navigation area with charitable and storage for books and charts.Aft of the Galley is a double aft cabin with hanging locker, storage and portlight.There is a Mikuni diesel fired heating system with timer and outlets in saloon, heads, fore and aft cabins. The Galley and Heads have pressurised hot and cold water supply via a calorifier with immersion coil. Fully re-upholstered throughout with light blue valour fabric all-new 2014. Teak and holly saloon floor with blue carpets throughout. Call 01634 571605 to obtain more information or arrange a viewing.